Get trusted, warrantied, and affordable Whirlpool fridge repair in Calgary today! Don’t delay! Call 403-255-9647 now for your free quote! A home needs to function like a well oiled machine. However, when something as critical as the refrigerator is down, it can really throw a wrench in to your daily activities and plans. 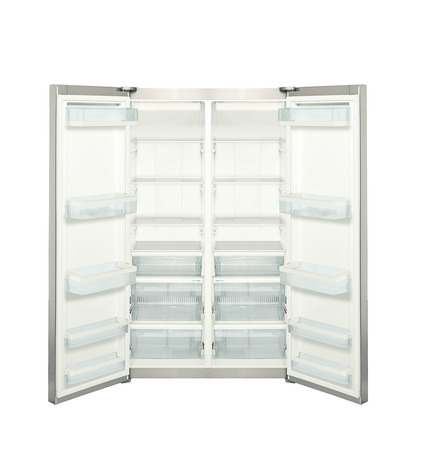 Do not let a broken fridge interfere with your quality of life! Ensure that you have a reliable and well equipped kitchen appliance repair company at your disposal when the need arises by contacting Appliance Service YYC in Calgary! Appliance Service YYC hires only well trained and skilled technicians to make sure your services and repairs are done promptly and right. Do not risk going to a sub-par repair company that will perform temporary repairs on your Whirlpool fridge. Receiving your free quote on your Whirlpool fridge repair is made easy, simply call 403-255-9647. The only way to know if a company is proud of the work they put out is to make sure they have a warranty on their repairs! Here at Appliance Service YYC, we employ highly trained individuals who get it right the first time. However, sometimes things happen that are out of our control. Our service warranty will leave you at peace knowing that Appliance Service YYC will be there every step of the way, ensuring that you have received the best services on your appliance repairs in Calgary. Make sure you have a trusted and reliable kitchen appliance repair company! Call 403-255-9647 today for inquiries or book online!